The vast nature reserve of Parque Natural da Sudoeste Alentejano e Costa Vincentina extends from the little coastal town of Salema westwards around the coast at Sagres, Cape St Vincent itself and then northwards as far as Odeceixe in the direction of Lisbon on the western coast of Portugal. Protected landscape status for this area dates from 1988, and in 1995 Parque Natural do Sudoeste Alentejano e Costa Vicentina (the Natural Park of Southwest Alentejo and Cape St. Vincent) was designated to conserve the outstanding beauty of the coastline and also the region’s unique flora and fauna. Apart from its outstanding wildlife, the area is rich in history with evidence of occupation dating back to prehistoric times. There are also remnants of Roman and Phoenician settlements in the area. The imposing lighthouse at Cape St. Vincent contains the largest warning light in Europe for both marine and air traffic. 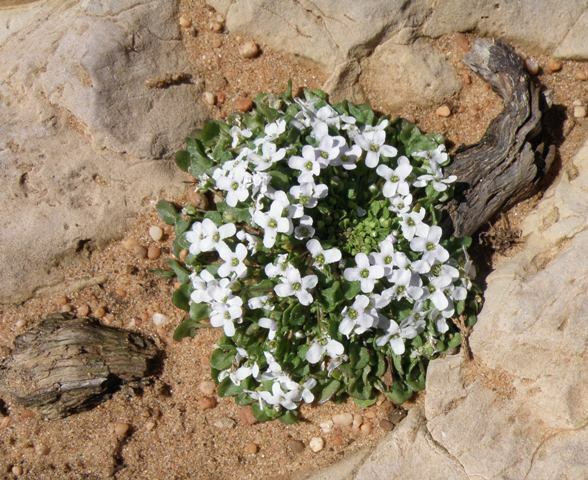 The botanical climax at Cape St. Vincent which occurs between mid-March and the end of May (depending on spring temperatures and rainfall) is nothing short of miraculous. The scenery is breathtaking and the colour of the literally hundreds of species of wildflowers is mindboggling. It is possible to wander around simply enjoying the spectacle. 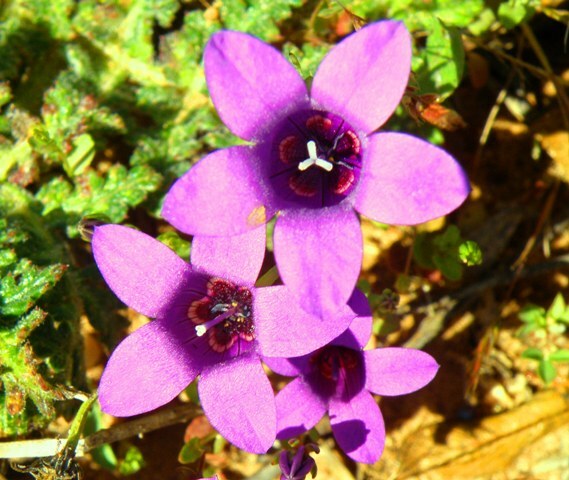 But, if you want to know more this is a wonderland on two levels - the staggering biodiversity and the fact that over 100 of the plants that occur at Cape St. Vincent are rare, localised and endemic means that wonderment quickly becomes wondering what exactly you are seeing. 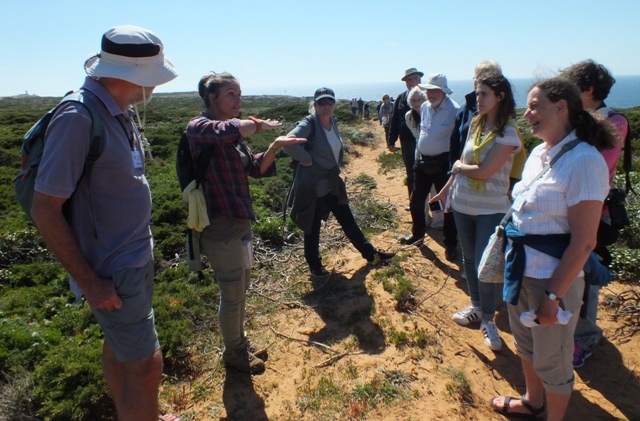 If you want to get more from your visit and learn about the plants, geology and history of Cape St. Vincent we strongly recommend a guided walk with an expert. 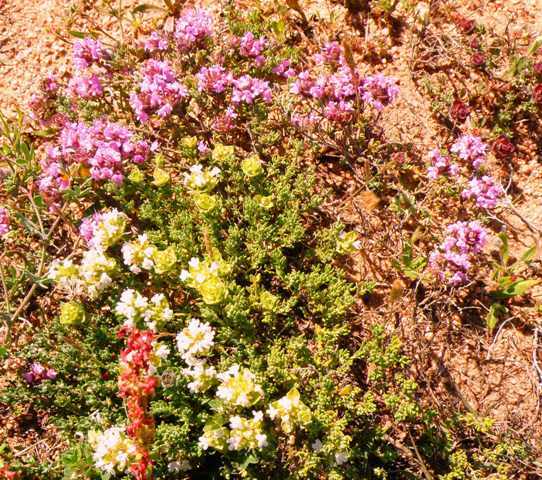 Ana Carla Cabrita was born in Sagres and knows the area and its natural history inside out. Her company Walkin'Sagres specialises in walking tours along the Vicentina coast for groups with a general interest or she will design a walk for your particular requirements..
We met up with Ana on a bright and breezy day for a 2-3 kilometre easy circular walk concentrating on the wonderful abundance of wildflowers. She really knows her stuff, and the experience was a revelation leaving us knowing so much more about the reasons for the diversity of plantlife in this relatively small part of the Natural Park and, along the way, we saw many of the rare and endemic species which, left to our own devices, we would have simply missed.